No set-up fees. No hidden fees. Cancel anytime. 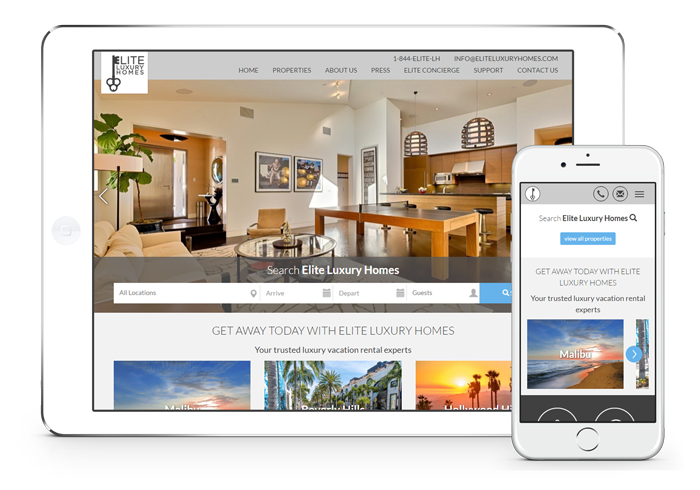 All OneRooftop plans include a set of FREE vacation rental website templates to choose from. If you would like more customization, OneRooftop offers several design packages from our amazing design team. Everything Is Included In All Plans . Will OneRooftop charge me extra for certain features? No. OneRooftop believes an all-in-one platform should really include everything. Your monthly, annual, or biennial subscription covers every feature you see in the platform. My business is growing. How do I upgrade my plan? Go ahead and add your properties. Your plan will be updated accordingly. You can also email or call OneRooftop support directly. Why can’t I take payments on my free trial? To ensure the safety of travelers, OneRooftop requires that you sign up for an account before taking credit cards online. There is no contract or cancellation fee. However, hosts with annual or biennial billing plans will be responsible for the remainder of their paid subscription. Contact support@onerooftop.com if you’d like to learn how to get more out of your subscription. How much does it cost for one-off design changes? OneRooftop has an in-house design team to help with your website’s look, both big and small. The hourly rate for smaller design changes is $125 per hour. Is there an additional monthly fee to use Stripe as my merchant? No. Stripe is free to sign up. In fact, OneRooftop brings you a discounted processing fee of 2.5% + 30 cents for Visa, Mastercard and Discover credit cards for United States only. I have over 100 properties. How much will this cost me? Contact OneRooftop to see how we can best accommodate your business. Try OneRooftop free for 15 days.